In 1982, Baltimore native Steve Geppi founded Diamond Comic Distributors with 17 customers and a single warehouse. Today, Diamond serves thousands of customers in 60+ countries and is the world's largest distributor of English-language comic books, graphic novels, and related pop-culture merchandise. 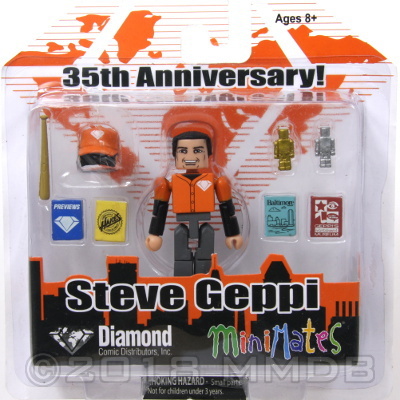 The Geppi family of businesses also includes Diamond Select Toys, Gemstone Publishing, Baltimore Magazine, Diamond International Galleries/Hakes Americana & Collectibles, and Geppi's Entertainment Museum, plus Alliance Games Distributors, Diamond UK, Diamond Book Distributors, E. Gerber Archival Supplies, ComicWow! and more!